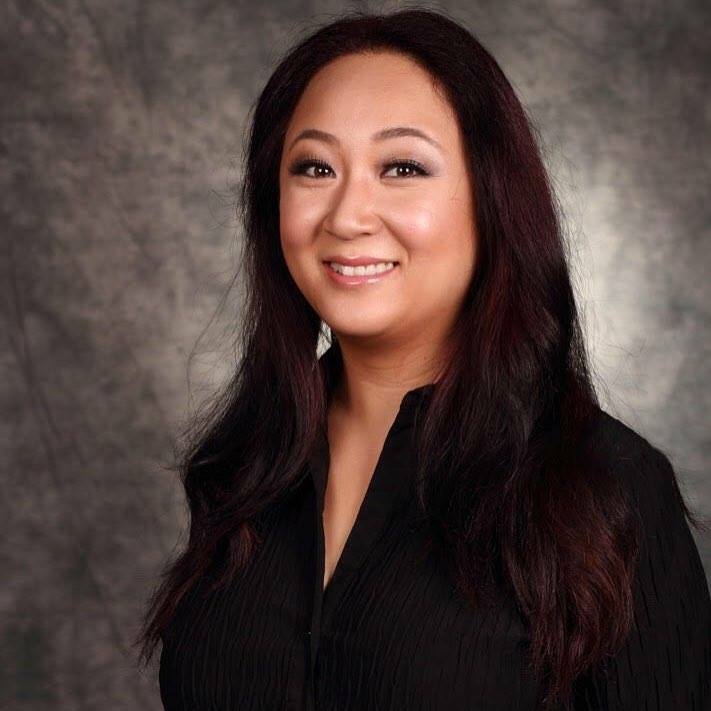 Freddie Mac, AREAA Team Up to Help Asian Americans in Chicago, Houston, Los Angeles Overcome Homeownership Obstacles. To help remove some of the homeownership challenges faced by the Asian American communities in Chicago, Houston and Southern California, Freddie Mac (NYSE: FRE) is teaming up with the Asian Real Estate Association of America (AREAA), prominent mortgage lenders, mortgage insurers and housing counseling organizations. This initiative is designed to address language and cultural barriers, lack of knowledge about the homebuying process and other challenges identified in recent research. These barriers are keeping many Asian Americans from pursuing their dream of homeownership. To gain a better understanding of how the Asian American community perceives homeownership, and their homebuying behaviors and challenges, Freddie Mac and AREAA have both published separate reports on their websites: http://www.freddiemac.com/corporate/reports/ and http://www.areaa.org. According to the U.S. Census Bureau, Asians are the second fastest growing ethnic population in the U.S., and number 13.5 million, or approximately 5 percent of the total U.S. population. The U.S. homeownership rate for Asians is 60 percent, compared to 76 percent for non-minorities. Click here to read more. Sales of Pleasure Boats Buoyed by Soaring Home Values. Buyers flock to the L.A. Boat Show. California purchases rose about 8% last year to $540 million. In California, retail sales of recreational boats — from runabouts to $4-million luxury yachts — rose about 8% last year to a record $540 million, continuing a growth trend over the last five years, according to the Southern California Marine Assn. A similar increase is expected in 2006. Though some economists worry that too many people are overextending themselves, the boating industry considers itself lucky that business is humming despite high gasoline prices. Aside from the real estate market, the $33-billion-a-year U.S. boating industry also has been helped by improved technology that makes it easier to dock boats, more-reliable engines and favorable demographics. Many baby boomers, for example, are buying big boats as second homes. Click here to read more. SoCal Home Sales Flat, Though Prices Rise. Southern California's housing boom continued to run in cruise control in November, with the median home price up 15.4% over the year-ago level and 1.3% over the previous month, according to data released today. Strong buyer demand and the anticipation of higher mortgage rates sparked a rise in the median price to a new record of $479,000 for the six-county region, said DataQuick Information Systems, a La Jolla-based real estate research service. The percentage gain matched the 15.4% year-over-year rise in October, when the median price stood at $473,000. Sales of new and resale homes totaled 27,637, down 3% from October, but up 0.6% from the year-ago month. A sales decline from October to November is normal for the season, DataQuick said. The latest data provides more evidence that the area's 5-year-old housing boom, while no longer white-hot like a year or two ago, has settled into a more moderate pace. While homes are staying on the market longer — with sellers in some cases cutting asking prices — there is enough pent-up demand in the market to keep prices from rolling over, analysts said. Click here to read more. Barry Stone: Ask the Inspector. Buy it and that illegal add-on is yours. Sellers are violating the law when they build additions without permits, but their legal exposure is about to evaporate. If they provide you with full disclosure of noncompliance, then you, as the new owners of the property, assume responsibility for future fallout. Click here to read more. NATION'S HOUSING: Making good on 'good faith'. It was one of the major mortgage-related consumer complaints to federal agencies in 2005: "Good-faith estimates" of closing costs that turn out to be hundreds, even thousands, of dollars off the mark. Previously undisclosed charges for "processing," "administration" and other vague services mysteriously appear out of nowhere on the HUD-1 settlement form. What was estimated upfront as $2,200 in total fees can turn out instead to be $3,400 at the close of the transaction. That, in turn, forces buyers and refinancers into a Hobson's choice: Do I pay the extra charges even though they were never included in the estimate? Or do I call off the whole deal — potentially losing the house I want to buy or the mortgage I need? Click here to read more. APARTMENT LIFE: Uprooted, and they are none the richer for the experience. Kevin Postema answers renters questions! Click here to read more. Across L.A., it's the year of the rat. New construction and last year's rains mean more and more rodents are on the move. The real estate boom may have moved rodents out of their homes and into yours. Developers are turning vacant lots into sites for homes, stores and office buildings. And while a new house down the street will bring some new neighbors, it could also bring unwanted houseguests: rats and mice. Click here to read more. Back to the 'burbs. The trend starts here. Southern California is the test lab for a new kind of suburb where homes front parks and residents shop on foot. No longer just sprawling residential tracts fanning out from nominal downtowns, the reinvented suburbs of Pasadena, Fullerton, San Fernando, Burbank and Irvine — to name a few — are pedestrian-friendly villages featuring vintage architecture mixed with new designs, mom-and-pop stores next to national chains, plus jobs a lot closer to home. They have museums, theaters, art galleries, concert halls and restaurants. "New suburbanism," as it's called, is putting vitality back into suburbia. Click here to read more. Tina says: Just wanted to apologize for the lack of Friday real estate news yesterday. I hosted another open house today, and will be hosting a different house on Saturday, February 4th, 2006 in Cathedral City. I'll fill everyone in on the details later in the week. REAL ESTATE MATTERS: 50-Year Real Estate Loans a Possibility; Longer Loan Term Would Lower Monthly Payments; You Can’t Get One...Yet. Just as folks are getting used to the idea of 40-year mortgages, securities issuers are upping the ante, talking about possible amortization schedules of 50 years, according to industry professionals. It's not possible to get such a loan at present. But the idea is currently a hot topic in the industry, and 40-year loans are becoming more and more popular, suggesting that 50-year loans might find favor with consumers as well. By stretching mortgage payments out over a longer period of time, borrowers can lower their monthly payments, even though the interest rates on alternative products such as 40-and 50-year loans are higher. This can be a big help to low-income home buyers or people in areas with high home prices. Because homes in California are so expensive, alternative loan products such as interest-only loans, adjustable-rate loans and 40-year loans are popular in the state. Click here to read more. Real Estate Seminar Shares Interior Design Secrets to Increase Profit. Best-selling Real Estate author and investor Jeanette Fisher offers a seminar to share her unique approach to flipping houses February 4, 2006 at Mt. San Jacinto College, Menifee. In "Doghouse to Dollhouse for Dollars," Fisher will give beginning and experienced real estate investors tips on how to find, finance, fix, and flip bargain houses for profit. She will explore how her interior Design Psychology methods greatly increase profits on investment properties. Fisher, who has flipped over thirty houses and now has a multimillion-dollar real estate investment portfolio, attributes her success to using Design Psychology, which appeals to buyers' emotions. She published her secrets to making greater profits in real estate in the books Doghouse to Dollhouse for Dollars: Using Design Psychology to Increase Real Estate Profits and Sell Your Home for Top Dollar--Fast! Design Psychology for Redesign and Home Staging. The seminar includes slides of the Fisher's fixers, before, during, and after transformation. In the seminar she'll also share tips on how to resolve credit issues or to use credit for greater real estate purchasing power. Author of Credit Help! Get the Credit You Need to Buy Real Estate, Fisher gives seasoned advice on how to use credit as a tool, not a burden, in real estate investing. Click here to read more. Tina says: This class sounds amazing, I would love to go to it. I think the one at the Menifee MSJC campus is February 4th, which is unfortunately, the same night as my next open house AND my own birthday party. If anyone goes to this class, please tell me if you enjoyed it! Housing starts fall 2.7% in 2005. Downturn expected to increase in 2006. After a decadelong run of annual increases, statewide housing starts fell 2.7 percent last year, and that drop-off is expected to more than double this year, said a new report from a state housing-industry association. The California Building Industry Association said 2004 and 2005 saw the strongest production numbers in 15 years, but blamed the downturn in part on what it called unnecessary regulatory barriers that hold down production. That, even as California's population continues to grow at between 500,000 and 600,000 people per year. Preliminary data from the Construction Industry Research Board show that last year a total of 207,154 building permits were issued statewide for single-family homes, condominiums and apartments. That compares with 212,960 in 2004, the strongest year for housing construction since 1989. Permits for single-family homes were up 2.2 percent for the year, rising from 151,417 in 2004 to 154,816 in 2005, but permits for condos and apartments dropped 15 percent from 61,543 in 2004 to 52,338 last year. Click here to read more. State's New-Home Sales Increase 4.4% in 2005. The volume is the most in nearly two decades. The question is whether last year marked a peak. Home builders in California had their best year in nearly two decades in 2005, selling 136,000 new houses and condominiums, data released Friday showed. That was a 4.4% increase from the year before, according to real estate research firm DataQuick Information Systems. It also was the highest number of new-home sales since the La Jolla firm began keeping track in 1988. The trend was the same nationwide, with new-home sales climbing last year to an all-time high of 1.28 million units, up 6.6% from 2004, the Commerce Department said Friday. It was the fifth straight year of record U.S. sales. But the question now — a day after California builders reported a 3% drop in housing starts last year — is whether new-home sales have peaked. Nationwide, the number sitting unsold would take 4.9 months to sell at the current sales pace. That compares with 4.1 months' worth of homes in inventory a year ago. Industry analysts are concerned that if demand slows and inventories continue to build, real estate prices could start to decline. Click here to read more. Downtown Condo Inventory Soars. January always sees a spike in real estate inventory levels. People who have avoided putting their homes on the market over the holidays often flock to the market at the beginning of the year. Southern California's analysts aren't particularly surprised by the spike in downtown inventory hitting the market this month. They said it is further evidence of what they have been saying for months: the downtown condo market is over-saturated, condos are taking longer to sell and a buyer's market is emerging. Click here to read more. Hi everyone, it's almost the weekend, so hang in there. :) I hope you have all had a productive week thus far. 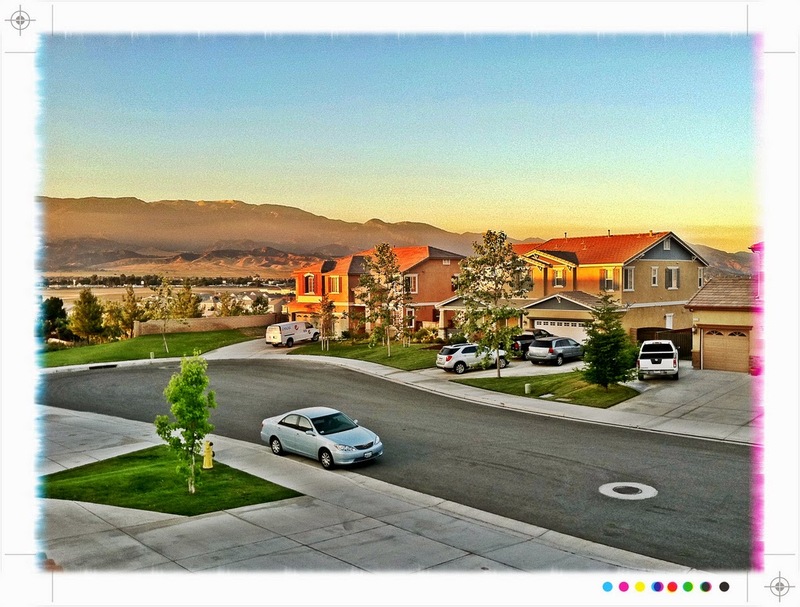 Things have been picking up slowly in the San Bernardino and Riverside County real estate market. We're still seeing some over-priced listings, but for the most part, eager sellers are listing at below market prices. For the buyers out there, this is a good time to comb through the inventory, there are a lot of homes lingering on the market that are waiting for you! There's not much in the news for today, so let's get straight to it. Feds target homeowners' ordinary income, capital gains. Part 1: Minimizing home-sale taxes. "I would love to sell all my real estate to take advantage of today's high prices, but I don't want to pay Uncle Sam a fortune in taxes." We're all familiar with federal income taxes on earnings received from job wages, interest, dividends, and other fully taxed sources. This is usually called "ordinary taxable income." It is generally taxed at the highest tax rates, based on a sliding scale -- the higher the total ordinary taxable income, the higher the tax rate. Unless you receive very little or no taxable ordinary income, allowable itemized deductions can significantly reduce the income tax on your ordinary income. Deduction examples include home mortgage interest, residence property taxes, charitable donations, casualty losses, moving expenses, and home business deductions. State income tax rates are generally much lower than the federal income tax rates, but California, Hawaii, Minnesota, New York, North Carolina and Wisconsin have the highest state income tax rates. Click here to read more. SLO County median home price drops. Single-family house prices fell nearly 12 percent in December. The median home price for a single-family house in San Luis Obispo County fell nearly 12 percent in December, or more than $70,000, but local real estate professionals warn that it is too early to determine if the market is headed downward. The $534,930 median home price -- the statistical point where half of the homes sell for more and half for less -- declined 11.6 percent from the November price of about $605,160, according to the California Association of Realtors. Nonetheless, it still represents a 12.5 percent increase from December 2004 when the median-priced home sold for nearly $475,610. The December 2005 figure was the lowest monthly median price registered since May 2005. Home sales were flat for the county on a month-over-month basis, and up 6.4 percent from December 2004. Statewide, California home sales were slower in December. Sales in December for single-family homes were down 17.6 percent compared to the previous December. The median home price for the state was essentially flat between November and December, when it registered $548,430. That represents a 15.6 percent gain in value compared to December 2004. Click here to read more. PERSONAL BUSINESS: Interest Rates And Your Estate. Even small changes can affect what you'll pass along to your heirs, so bear these tips in mind when shopping for trusts. As everyone knows, the ups and downs of interest rates can have a significant impact on the price of your home, the value of your investments, and what you pay for loans. But rates can also play a big role in estate planning. Indeed, when it comes to many popular types of trusts and other estate-planning techniques, even small moves in interest rates can make a big difference in what you'll be able to pass along to your heirs -- or what you'll have to fork over to Uncle Sam. Click here to read more. Area financial planners host phone forum Thursday. It's nearly a month into the New Year, and individuals who resolved to get their finances in order have likely already met a challenge or two. There's hope and help: Five members of the Financial Planning Association of San Joaquin Valley will field questions from the public during a two-hour call-in Thursday. The phone forum, from 6 to 8 p.m., is in advance of the sixth annual Planning Pays Off, a half-day of personal finance presentations and workshops to be held Feb. 4 at University of the Pacific. Click here to read more. A Wealth of $1-Million Homes. California's real estate boom has made the onetime stratospheric price commonplace. Million-dollar homes were once a sign of real affluence. Now, at least in California, they are getting to be a dime a dozen. Nearly 49,000 homes in the state sold for at least $1 million last year — a 47% increase from 2004, according to data released Tuesday by DataQuick Information Systems, a La Jolla-based real estate research firm. The real news is that $1-million homes are becoming more commonplace in areas not known for lifestyles of the rich and famous. Indeed, if you sold a home in California last year, there was a 1 in 13 chance that it went for at least $1 million, according to DataQuick. Your chances in 2004: 1 in 20. The total of homes fetching $1 million or more last year was nearly four times the number in 2002, according to DataQuick. Only a few years ago, $1 million bought you an "estate" property, one with ample square footage on a large lot in an exclusive neighborhood. Not anymore. The median-sized million-dollar home last year was 2,480 square feet with four bedrooms and three bathrooms, DataQuick found. The million-dollar-home trend is pushing even farther inland into non-resort communities in Riverside and San Bernardino counties. Several new million-dollar-home markets emerged there last year, thanks to sales of newly built large homes on big lots. The city of Norco, known for its horsy set and ever-present smell of manure, had 55 sales of $1 million or more, up from six the year before, DataQuick said. Even condominiums in California are breaching the $1-million mark. There were 2,902 condo sales in the million-dollar category last year, up 73% from the year before, DataQuick said. Most were sold in West Los Angeles, San Diego and San Francisco. Officially, the most expensive confirmed purchase last year was a 13,636-square-foot, six-bedroom, 12-bathroom La Jolla house on six acres, which went for $23.5 million in September, DataQuick said. Unofficially, however, some homes sold for much more. The super-rich sometimes pay cash, and sometimes their prices aren't officially recorded. The Beverly Hills mansion that was once the home of oil tycoon Marvin Davis reportedly sold for $42 million last year. Currently, there are close to 200 California homes for sale listed at $8 million or above, according to Ultimate Homes magazine. At the top of the list is a Malibu beach pad on seven acres with an ocean view. The asking price: $65 million. Click here to read more. Homeowners sue over missing square footage. More lawsuits over California builder's size mistake. More homeowners have sued builder JTS Communities of Sacramento, Calif., alleging that the square footage of their homes is smaller than the sales brochure indicated -- as many as 168 feet smaller, to be exact. This case, filed as a class action, is the third suit filed against JTS over the difference between the square footage advertised in the company's marketing materials and the actual square footage of buyers' homes. JTS has acknowledged there were discrepancies of up to 168 square feet involving just under 200 homes built between 1998 and 2004. But the company contends that it has not intentionally misled anyone, that no one has been harmed financially and that all home buyers signed sales contracts stating the square footage advertised in marketing material was an estimate. Click here to read more. Hi Everyone, not much in real estate news today. Here's a reposted article in the Modesto Bee. I think we may have read this one already... it look incredibly familiar. Have a great day! Stock Tips: As real estate cools, stocks may heat up. Baby boomers look to build nest eggs. Like other investors in the first half of the decade, McMeiken had success investing in real estate. But with sales slowing and home prices flat, there's a concern that the real estate market is cooling. And with bonds experiencing worrisome trends and increased volatility, and the Dow Jones industrial average topping 11,000 this month, investors have increasingly focused on stocks. Even government bonds have been volatile, with the yield curve inverting in the last week of 2005. Normally, long-term bonds such as the 10or 30-year yield more than a two-year or shorter-term note, because the government is borrowing the principal longer. But when the curve inverted, the two-year had better returns than the 10-year and increased investors' frustrations. That leaves stocks. According to Kleintop, earnings per share for companies listed in the Standard & Poor's 500 index have risen 46 percent since 2001 and dividends per share are up 39 percent. Yet a stock's value, measured by comparing its price to potential earnings, has declined. In 2001, stocks were priced at about 22.2 times forward earnings, compared to 13.8 times forward earnings today, Kleintop said. In other words, while a given stock may have risen or fallen over the past five years, stock investors could get more for their dollar overall on Wall Street. There's evidence investors are moving back to stocks. Mutual fund companies reported strong inflows through the second half of 2005. And in the first two weeks of 2006, E-Trade Financial Corp. said it has seen a 50 percent increase in walk-in traffic at its New York financial center. Click here to read more. Realtors can't be slow to react. In the span of a quick lunch break a real estate client can be won or lost. So says a survey in which nearly half of the respondents who searched for their homes on the Internet expected a response to their e-mail to a Realtor in 30 minutes or less. The California Association of Realtors survey showed the number of home buyers who used the Internet to search for properties, communities, answers to their questions or agents has been rising dramatically over the past five years: 62 percent said the Internet figured heavily in their search in 2005, up from 28 percent in 2000; 38 percent of respondents said they did not use the Internet during their home search in 2005 versus 72 percent in 2000. In an increasingly competitive housing market that has more informed and less patient buyers, agents need to be quicker to respond and more informed themselves, experts say. Click here to read more. National real estate foreclosures up in 2005. Florida, Colorado, Utah post highest foreclosure rates. National real estate foreclosures increased in every quarter of 2005, according to an industry report released today. RealtyTrac, which provides an online marketplace for foreclosure properties, today released year-end data showing that 846,982 properties nationwide entered some stage of foreclosure in 2005, and there was a 25 percent increase in the number of new foreclosures from the first quarter to the fourth quarter. Click here to read more. Outlook 2006: Real Estate. Though several markets--particularly on the coasts--are overvalued, and prices could drop, good job growth and population growth mean nationwide demand probably won't slow drastically. Meanwhile, industry leaders expect areas with strong job markets and good income-tax receipts to continue to chug along, places such as Florida's Miami-Dade and Broward counties, Nevada's Clark County, and Arizona's Maricopa County. Commercial real estate is based on different patterns and should continue upward. Job growth means employers need more space, and in markets such as Washington, D.C., and midtown Manhattan where there's not much room to build, that demand will shove lease rates higher. Eventually, high occupancy rates should create more supply by attracting developers in areas such as Dallas and Phoenix where there is room to build. Higher interest rates are pushing up development costs, as are the scarcity and price of construction materials. Katrina and Rita knocked out some supply--New Orleans-area cement factories, for example, accounted for 12% of U.S. supply in the first half of 2005--and high oil prices are raising prices for insulation, plastics, and roofing. Click here to read more. One way to beat real estate capital-gains taxes. Section 1031 of the U.S. tax code allows anyone such tax-deferred exchanges or rollovers of "like-kind" income property. Instead of chasing after another income property to buy and manage again, roll your money into TICs. What's a TIC? Paula Straub, a financial adviser in Carlsbad, Calif., who operates the SaveGainsTax.blogspot.com explains that TIC -- Tenants in Common -- exchanges, allow you to sell your property and roll the proceeds over to shared property where you own a separate, tenant-in-common interest. Click here to read more. Real estate search sites hit data control sore spot. Industry has mixed reaction to display of property listings. The Propsmart.com Web site carries the slogan, "real estate search + community"; Trulia.com's logo includes the phrase "real estate search"; and Oodle.com is "the search engine for local classifieds." All three sites conduct automated searches for online real estate listings hosted at other Web sites, a technique known as crawling or "spidering," and then collect, reformat and republish parts of that gathered information at their own sites. In every case, these real estate search sites offer links back to the Web sites where the information originated. The sites are part of a growing effort to give consumers easier access to more real estate listings online while driving more consumer traffic to broker Web sites. The real estate industry, though, historically has been very guarded of its property listings and issues with ownership and control of real estate information remain unresolved. Click here to read more. Land Deals. Commercial Real Estate Forecast: The Weather's Fine. Commercial real estate tends to be a lagging indicator--meaning it recovers from economic downturns slower than other sectors of the economy. California speculators have been fishing in New Mexico for a while now, seemingly attracted by our stable employment rates, relatively low prices, and most importantly, the high occupancy rate and demand for apartments. The trend doesn't look likely to abate anytime soon. Click here to read more. In America, building BIG: As family size shrinks, U.S. homes are getting larger. During the past few years, expectations about houses - especially newer homes in the $300,000-and-up range - have been escalating about as fast as their prices, builders and real estate agents agree. Family rooms are passé. Great rooms are in. Bonus rooms are a must. Ditto at least two bathrooms, preferably even three. Main-floor master bedroom with luxury bath: perfect. All the bedrooms on the ground floor: even better yet. Pre-wired media room: great if you can afford it. Not only that, but houses have been growing steadily larger during the past 15 years, despite the fact that family size has been shrinking just as surely for decades; it's now 2.8, down from 3.4 in 1960. The size of single-family homes now averages about 2,400 feet, however, nearly 450 square feet more than 20 years ago, while the number of small houses - under 1,200 square feet - has dropped to a mere 4 percent, down from 13 percent, in the same time period. Click here to read more. Buyers gain edge in housing market. Although activity is high, slowdown might be ahead. Even though the statistics for 2005 broke all records for sales, volume and median and average price, many real estate agents are readying themselves for a more challenging year. That will mean longer listing periods, fewer purchase offers, and far fewer bidding wars — even for prime real estate in the hot market areas. In late December, Fortune magazine published a story looking at the top 100 U.S. housing markets and forecasting the future for them. Here's a snippet: "If you live in any of those overheated places, you might want to make some new calculations and assumptions about your property. On the other hand, markets at the other end of the spectrum — lower-priced areas that have seen less froth lately, such as Rochester, N.Y., Albuquerque and Tulsa — are more likely to see expanding home values." Click here to read more. TROPHY HOMES: California county hits new level of luxury. Magnificent beaches, weather and lifestyle have placed Orange County among the nation's top 10 markets for trophy homes, according Rick Goodwin, publisher of "Unique Homes" magazine. Orange County prices, though, haven't caught up to the levels of its northern neighbor, which is home to some Malibu and Bel Air estates with $50 million-plus asking prices, or New York City, where prices for some exclusive high-rise homes have topped $40 million. In some ways, the high-end home sales are a reflection of what's going on throughout Orange County. Nearly 6,700 homes sold here for $1 million or more in the past 11 months, compared with fewer than 500 in 1990. But the high-end market is largely an economy unto itself, unrelated to the vicissitudes of the larger local housing market. Since high-end buyers come from all over the world, the Orange County job market, for example, has no effect on prices for trophy homes. And while the county's median home price tripled in the past 10 years, the three top-priced homes were up four- to five-fold on average. Orange County trophy-home buyers are a diverse group, including Asian business owners, investors, entrepreneurs and corporate bigwigs. Newport Beach agent Robert Giem said the few things such buyers have in common are that they have the means, they're intensely private, and they pay cash. The county increasingly draws high-end buyers, he added, because it offers residents and visitors so much to do, with an abundance of places to dine, shop or golf. And with e-mail, Internet access and videoconferencing and teleconferencing, many are able to own and maintain business interests elsewhere while living here. Click here to read more. Socking away your nest egg. Keep your stash safe, liquid. Today, you can't afford a cramped two-bedroom in the suburbs an hour's commute from work. So you've resolved to wait out the hot real estate market until prices come down or at least cool off. But you still have a healthy down payment sitting around that was set aside for that dream home. Even if you hope to use it within a few years, the lump sum should be locked away in a short-term investment rather than let inflation get the best of it in a standard savings account, financial advisers say. Besides, home prices may still rise, and you'll want that down payment to grow as much as it can while you wait for the right home to hit the market at the right price. Click here to read more. Los Angeles Times - Real Estate Section. Be sure to check out the real estate section in the LA Times every Sunday. They have great articles every week! I'm a big fan, and I get alot of great articles from there. If you'd like to check them out for yourself, click here to read more. As speculators go, so goes area housing market. The future of metropolitan Phoenix's housing market comes down to investors. Again. These speculative home buyers hyperinflated prices in 2005 by at least 25 percent with their purchasing sprees, new research shows. And what they do this year will determine whether the Valley's housing market sags, keeps climbing or stabilizes. Forecasts call for everything from a 10 percent increase in Valley home prices to a 10 to 15 percent drop. Click here to read more. If you can't afford your dream home now, stash your down payment in a safe investment. Wishing you had bought that modest three-bedroom house in the hip neighborhood when you had the chance four years ago? Today, you can't afford a cramped two-bedroom in the suburbs an hour's commute from work. So you've resolved to wait out the hot real estate market until prices come down or at least cool off. But you still have a healthy down payment sitting around that was set aside for that dream home. Even if you hope to use it within a few years, the lump sum should be locked away in a short-term investment rather than let inflation get the best of it in a standard savings account, financial advisers say. Besides, home prices may still rise, and you'll want that down payment to grow as much as it can while you wait for the right home to hit the market at the right price. Click here to read more. Haute Blog Storms the Web Like King Kong. In just four weeks, HAUTEBLOG.COM, real estate’s most comprehensive luxury guide in Florida and New York, has been the talk of town by providing visitors with sizzling celebrity’s transactions, up-to-the-minute national real estate news, sought-after haute homes, and an ample list of luxury real estate companies and fine dining. Providing New York and Florida with multi-million dollar estates of the day and the ins-and-outs of the luxury real estate market has indubitably generated big buzz among the country’s leading real estate professionals, investors and entrepreneurs, thrusting HAUTEBLOG.COM into real estate’s cyber stratosphere at bursting momentum. Click here to read more. California Employers Add 24,300 Jobs in December. And November's figure is revised upward. Some economists fear the pace may slow this year. California employers spread holiday hiring cheer at the end of last year, adding a net 24,300 payroll jobs in December, the state said Friday in a report that reinforced views of solid economic growth. The number of jobs added in November was revised sharply upward, and the December unemployment rate fell by 0.2 percentage point to 5.1%, the Employment Development Department reported. Click here to read more. Real estate market continues to cool. The real estate slowdown sped up in December, capping a year that some observers believe will mark the end of the historic home price run-up. Sales of new and resale homes and condos in the nine-county Bay Area dropped on a year-over-year basis for the ninth month in a row and at the steepest rate since November 2001, according to La Jolla-based research firm DataQuick Information Systems. The 15.5 percent decline is all the more striking since sales volume normally increases from November to December. The median home price rose year-over-year to $609,000, but the 14.3 percent increase was the slowest since March 2004. The December price was down 2.6 percent from November's record high of $625,000. The median price indicates that half the homes sold for more than that amount, half for less. "There's no question that we have moved from a seller's market to an equilibrium or even a buyer's market in certain cases," said Ken Rosen, chairman of the Fisher Center for Real Estate and Urban Economics at UC Berkeley. "The housing market has cooled." Click here to read more. Call 3: Deceptive Refinancing Ads Targeting Consumers. Call 3 is warning consumers to watch out for advertisements that encourage refinancing to pay off holiday debt. After the holiday high from presents can come the holiday spending hangover from the bills. Some ads may try to take advantage of the situation, touting low-cost loans to manage the mess. One ad claims to lower payments up to 50 percent, with new rates as low as 1¾ percent. What the ad doesn't say is that the low rate likely lasts only one month and then it jumps. Click here to read more. Chino dairies feeling squeezed. “Where Everything Grows,” the city of Chino’s motto, originally referred to its agricultural roots. Today it applies instead to growth in families, non-agricultural businesses and commercial and industrial complexes. Houses and business structures are going up at an astonishing rate. The Chino Valley was once home to more than 400 dairies and 400,000 head of cattle, and dairy cows were keeping pace with the human population. But that won’t be the case for long, with 70 percent of the remaining 140 dairies either sold to real estate developers or in negotiations. This shift in land use from agriculture to urban development is going on throughout the state, but none is more dramatic than the mass exodus currently taking place in the Chino dairyshed, where family farms have thrived for more than 50 years. Click here to read more. S.J. rents relatively stable; apartments getting scarce. The apartments market is getting tighter in San Joaquin County, but rents are only creeping up, according to the latest quarterly survey by RealFacts, a Novato real estate firm that tracks the apartment market. Click here to read more. Rents in San Francisco area rebound after 4 years of decline. The survey also showed that apartment rents rose throughout most of the West last year in the latest sign that landlords are slowly regaining pricing leverage. The biggest increases were concentrated in southern California and southern Nevada, where the regional economies generally have been stronger than other parts of the West. The market spanning Los Angeles and Orange counties demanded the West's highest rents, at an average $1,459, a 6.6 percent increase from 2004. Tucson, Ariz., offered the lowest average in the West, $616, down 1.4 percent from 2004. Click here to read more. SoCal new-home price gains expected to cool. Market report shows growing sales, inventory. Demand for new homes in Southern California remains stable and average prices have been flat for the past year, according to a market report by Real Estate Economics, a real estate information company. The fourth-quarter 2005 market report, which includes data from Ventura, Los Angeles, Orange, San Diego, Riverside and San Bernardino counties, shows that total inventory of new homes for sale is up about 15.9 percent, while monthly sales are up about 29.4 percent since fourth-quarter 2004. The pace of new-home sales throughout Southern California was 9,226 sales per month in fourth-quarter 2005, with an average sales rate per new-home development of 7.3 sales per month. While inventory has risen, the months' supply of inventory has dropped 10.4 percent from fourth-quarter 2004 to fourth-quarter 2005 based on the pace of sales and the construction of more new-home communities, Real Estate Economics reported. The average of minimum lot sizes in new-home developments dropped 9.2 percent from fourth-quarter 2004 to fourth-quarter 2005, falling from 7,148 square feet to 6,490 square feet. While average new-home prices have been roughly level during the past 12 months, the average price per square foot, at $266.77 in fourth-quarter 2005, increased by 5.5 percent in that time, the company reported. The average base price of new homes in Southern California was $634,836 in fourth-quarter 2004, and increased 0.4 percent in fourth-quarter 2005 to $637,629. "This trend of only modest to moderate new-home price appreciation is likely to continue in most areas of Southern California. New-home price appreciation will continue at much lower levels during the next few years due to the impact of the already high level of new-home prices, slowly rising mortgage interest rates, increasing competitive supply and only moderate economic growth," the market report states. "New-home demand remains intense, but prices have finally brought the new-home market into balance, resulting in much more normal market patterns during the next year." Click here to read more. Proposed state law protects against foreclosure scams. Colorado joins others seeking to regulate procedure. A bill aiming to protect consumers from scammers who prey on homeowners facing foreclosure is making its way through the Colorado legislature as lawmakers nationwide seek to combat the problem. California, Georgia and Missouri already have such laws on the books. In a typical foreclosure scam, the mortgage consultant promises to make the overdue mortgage payments to the lender, and in return, the homeowner transfers the deed to the property. The owner is given a year to buy the deed back, but the more common result is that the consultant ends up with the home after paying thousands of dollars less than it is worth. Click here to read more. Housing Gains Slow in Region. The Southland's median home price in December is 13% higher than a year earlier, the lowest rate of appreciation in nearly four years. Southern California home prices rose last month at their lowest rate in nearly four years while the pace of appreciation for all of 2005 slowed for the first time since 1999, providing the latest evidence that the region's once-sizzling real estate market is cooling off. The statistics, released Wednesday by DataQuick Information Systems, a La Jolla-based real estate research firm, suggest that Southland homeowners might have to settle for more moderate price increases after a six-year run of extraordinary gains, analysts said. That boom bolstered the local economy by generating thousands of jobs and adding billions of dollars in equity for homeowners. But it also made homes too pricey for many residents. Now there are signs that the market might favor buyers over sellers. Many homes are taking longer to sell, with the average duration on the market about three months compared with one month a year ago, real estate agents say. A more drawn-out sales process is often leading sellers to reduce their asking prices or accept offers below the listed price. By contrast, buyers early last year sometimes resorted to bidding wars for homes in many neighborhoods, forcing prices above the asking prices. Click here to read more. Go to the Midwest, young man! It's cheaper! For many, it's no longer 'California or bust.' Instead people are leaving both coasts in search of a more affordable lifestyle. NBC's Mark Mullen reports. "California or bust!" That's been the mantra for generations of Americans who wanted to ride the wave of westward migration. Now, the tide may be turning, as families turn back to their Midwestern roots, searching for a more affordable lifestyle for themselves and their children. NBC’s Mark Mullen reports. Click here to read more. Report pokes at housing bubble. Likelihood of price decline in region may spur move to safer fixed-rate mortgages. The East Bay, Peninsula and San Joaquin County have at least a 50 percent chance of seeing home values decline in the next two years, according to a report released Tuesday by a Walnut Creek mortgage insurance company. The quarterly report from PMI Mortgage Insurance Co. does not measure how much of a decline could occur, just the probability of it taking place based on a range of economic factors such as home prices and personal income. But the report does show a big jump in the likelihood of decreasing home prices in San Mateo County and San Joaquin County compared with last spring. The higher risk of declines could spur a move to safer fixed-rate mortgages and away from loans that rely on rising prices to build equity. Click here to read more. Housing prices jump 18% in '05. The median price of a Santa Clarita Valley home hit the $600,000 mark in December, capping a year that marked an 18 percent surge in prices in an area that remains one of the county's "affordable" communities, a monthly real estate survey said Tuesday. The December single-family home median price represented a $5,000 or 0.8 percent increase from the month before and a 15.6 percent jump from the same period a year ago, according to the Southland Regional Association of Realtors. The median condominium price was $389,000 - a 1 percent increase from November and 17.9 percent higher from December 2004. The 2005 median price for both houses and condos held on for a fifth year of double-digit percentage gains. For single-family homes, the median was $564,600 - a 18 percent jump from 2004. The median price for condominiums was $356,242 - a 16.6 percent increase. Click here to read more. Economic activity continues to expand. The economy chugged ahead as the new year opened with manufacturing picking up, employment improving and retail sales rising, the Federal Reserve reported Wednesday. The housing market, however, showed fresh signs of cooling but still was in good shape, the Fed said in its latest snapshot of business activity nationwide. The survey, based on information collected before Jan. 9 and supplied by the 12 regional Federal Reserve banks, will figure into discussions at Fed policymakers' next meeting Jan. 31. Economists expect the Fed will bump up rates by another quarter point in its continuing efforts to keep the economy and inflation on an even keel. Click here to read more. Local Housing Prices Take Biggest Drop Since 1988. At least for now, the five-year run of double-digit increases has come to an end for San Diego’s real estate market. Home prices across the county last year climbed just a third as fast as they did the year before. While all signs point to a market slow down, you have to keep this in perspective: prices are still going up. The bulge around the middle of our seemingly ever-expanding real estate market is finally starting to shrink, and for those potential buyers who have been on the fence, experts say there’s no time like the present to purchase a property in San Diego County. At least for now, the five-year run of double-digit increases has come to an end for San Diego’s real estate market. Home prices across the county last year climbed just a third as fast as they did the year before. While all signs point to a market slow down, you have to keep this in perspective: prices are still going up. The bulge around the middle of our seemingly ever-expanding real estate market is finally starting to shrink, and for those potential buyers who have been on the fence, experts say there’s no time like the present to purchase a property in San Diego County. Click here to read more. Living trusts can help heirs avoid probate. Living trusts keep assets in private control after death. Ideally, all assets are transferred to the trust and then distributed to beneficiaries by an appointed successor trustee. Advocates say the trusts generally help to avoid probate -- the legal process of carrying out a will -- which can take months. The trusts generally speed distribution to beneficiaries. Basically, asset ownership is shifted in a trust. Real estate, accounts, investments, vehicles all would be listed as property of the trust. The trustee still controls everything as though it were in a private name, and can add or eliminate anything at any time. Click here to read more. California real estate loan risk levels increase. Consumer Web site reports risk up 28.6% from first half of 2005. Lending institutions in California have increased their scrutiny of home loan applications because of higher default risk, the result of a shift in sales patterns and of a real estate market nearing the end of its boom cycle, a consumer Web site reported. Risk levels for new mortgages statewide increased 28.6 percent from the first half of 2005 to the second half of the year. Mortgage risk has increased most sharply in the Salinas and Santa Cruz- Watsonville areas, while trending down in rural areas north of Sacramento like Chico and Yuba City, according to San Juan Capistrano- based HomeSmartReports.com. Click here to read more. Predicting Property Prices. Southern California home prices could decline by as much as 15 percent in the next two years, one of the region's most prominent real estate analysts has warned. Stephen D. Cauley, director of research at the University of California, Los Angeles Richard S. Ziman Center for Real Estate, also cautioned that San Diego's downtown condo market has become over-saturated and could be in store for a serious downturn. Click here to read more. Investors shifting from homes, bonds to stocks. With concerns that the real estate market is cooling, volatility in bonds and the Dow Jones industrial average topping 11,000 this past week, investors appear to be focusing again on stocks. "We've already seen individual investors showing some signs of interest in the fourth quarter, and something like Dow 11,000 just increases that interest," said Jeff Kleintop, chief investment strategist for PNC Financial Services Group in Philadelphia. "This week could be the shot in the arm people need to really get back in again." Since the dot-com bubble burst in 2000-01, the housing market has taken off. The number of home sales climbed steadily since 2001, the last time the Dow was at 11,000. And while the Dow eventually fell to 7,286.27 on Oct. 9, 2002--the nadir of the bear market--home prices have doubled or even tripled in some areas, such as New York, San Francisco and southern California. Yet recent evidence suggests the housing market is slowing. Existing-home sales are expected to fall 4.4 percent in 2006 after years of record sales, while new construction is expected to drop 6.6 percent, according to the National Association of Realtors. And the median price of a home, forecast to rise 12.9 percent for 2005, is expected to climb just 5.1 percent this year--a solid increase, but small compared to the ones real estate investors have enjoyed over the past few years. Click here to read more. Caveat on governor's budget plan. Experts say funding depends on strong real estate market. After touting his budget plan to increase funding for education and transportation, the governor sounded a cautionary note. "It's important to remember, however, that our great good fortune is the result of a strong economy and a surging stock market. And anybody who follows the Dow, and particularly the Nasdaq, realizes how volatile these sources of funds are." The governor was not Arnold Schwarzenegger, but Gray Davis as he released his budget six years ago when state coffers were brimming with $12.3 billion in extra cash. But the money -- based on such volatile revenue sources as capital gains on stocks -- dried up almost as fast as it appeared, leaving the state with a whopping deficit that it's still trying to dig its way out of. Now, as the state's economy rebounds from the technology bust, some are questioning whether Schwarzenegger is venturing down a similar path by using a windfall in tax revenues on more spending when another key sector of the economy -- the real estate market -- shows signs of softening. Click here to read more. 4 bds, 2 ba, speaks Spanish. Bilingual real estate agents are in demand with Latino home buyers. Bilingual real estate agents are in high demand among Hispanics, the fastest-growing segment of the area's real estate market, local agents say. Hispanics are streaming into Oregon and looking to buy homes in part because of the super-heated housing market in states such as California, where nearly one in three residents are of Hispanic or Latino origin. Home values have risen so much in California that owners are able to sell, relocate to the Northwest and buy more house for less money. Many Latinos buying in Oregon are already on their second or third homes, using their equity to upgrade to larger, nicer houses. Click here to read more. California MLS consolidation moves forward. Group seeks real estate brokers to serve as leadership. A group of six northern California multiple listing services, which plan to band together to form one of the largest MLSs in the country, have named their new organization the Northern California Real Estate Exchange (NCREX), according to an announcement today. The consolidation of MLS data has been a hot topic in California and elsewhere. There are separate discussions among a group of Southern California MLSs to regionalize the sharing of property data, and a San Francisco lawyer is pursuing a ballot initiative to create a statewide multiple listings service. Also, California Association of Realtors officials have laid some groundwork for sharing MLS data statewide. It has been a controversial issue, though, as some local MLSs are worried that regionalization efforts could lead to membership and staff reductions, and some brokers and agents worry that real estate professionals will expand their geographic focus to compete on unfamiliar turf. The organizations founding NCREX are: REInfolink, Contra Costa MLS, Bay East MLS, East Bay Regional Data, Central Valley MLS and the San Francisco Association of Realtors MLS. The group of participants has invited other Northern California MLSs to join NCREX, too. Click here to read more. Texas real estate market undervalued. Housing experts say Texas is bucking a national trend in real estate. Investors are flocking here when sales are slow across the country. Nationally, sales of existing homes are expected to fall a little more than four percent this year, according to the National Association of Realtors. Housing experts say land in Texas is undervalued and is more affordable compared to states such as California and Florida. An estimated 269,000 Texas homes were sold in 2005 - a 34 percent increase from 2002. Property is being bought by out-of-state investors looking to get a lot more house for their money. Click here to read more. Not just passing by, but putting down roots. Historically, the Riverside County city of Beaumont has been just a place that you passed through on your way to somewhere else. But nowadays, many new homeowners are making Beaumont a destination — and saying it's a great place to raise a family. The Pacific Railroad started passing through Beaumont on its route through the San Gorgonio Pass to the coast in 1876. It wasn't until 1907 that a few hundred settlers began farming and raising poultry here. Beaumont was incorporated in 1912 with a population of 1,200. Today's city of 18,982 is still a stopping point for travelers making their way from the Colorado River to Los Angeles through the pass. But it has traded its manufacturing and working-class roots for more upscale tract homes. And with a 14.1% growth in population since 2004, it is one of Riverside County's fastest-growing communities. Click here to read more. Investor guru predicts 'California Crash'. Author and self-taught prognosticator says real estate market peaked in 2005. Bruce Norris read the real estate tea leaves in 1997 and came to an astounding conclusion: After plummeting for seven years, real estate prices were about to take flight. He wrote a book predicting that home prices would double in eight years, which missed the mark only in that it was too conservative. Prices actually tripled. Now the Riverside investor-guru is re-reading those tea leaves, and his conclusion again runs counter to most projections. "The very peak of the market," Norris told members of the Orange County Real Estate Forum on Thursday night, was the end of 2005. Scoffing at many residents' buy-buy-buy mind-set forged by nearly a decade of rising land values, Norris predicted that prices will level off in 2006 and gradually slide during the next four years, erasing the gains of the last one to two years. If he's right, the median Orange County home price would drop from November's $616,000 to below $500,000 by 2010, a 20 percent decline. Click here to read more. Demand for homes outstrips land. New-home builders couldn't keep up with buyers' demand, and used homes sold quickly in last year's hot El Paso residential real estate market. "Last year, sales greatly outstripped our ability to produce homes. This was true for almost all builders" because not enough home lots were available, Jim Sorenson, president of Classic American Homes, said in a written statement. The company sold 453 homes last year -- just eight more than in 2004. "We had, and still have, waiting lists both inside and outside the city limits. If we had the building sites, we could easily sell an extra 100 homes or more in the next 60 days," Sorenson reported. Click here to read more. You can get a bigger tax break on your home sale the year your spouse dies. If one spouse dies and the property is sold during the same year, the survivor will be qualified to take the $500,000 exclusion on the gain. This is due to the fact that our tax laws allow the filing of a joint tax return for that year. For subsequent years the law does not allow the filing of a joint return and consequently the surviving spouse is limited to a $250,000 exclusion as a single taxpayer. The complexities in your question lie in the treatment and calculation of the surviving spouse's adjusted basis in the property when they file as a single taxpayer. Click here to read more. Housing bubble to suffer slow leak. The current housing boom has been national in scope since it has been driven by three nationwide forces: low mortgage rates, liberal lending practices and, in the aftermath of the dot-com stock market bust, investors on the lookout for alternatives to equities. The boom has been spectacular in the San Francisco Bay Area. According to figures by the FDIC, five-year median sales price increases in September in Contra Costa County were 117 percent, 81 percent in Alameda County and 134 percent in Solano County. In Napa County, prices jumped by 143 percent. In October, the median price of an existing single-family home in the Bay Area was 644,000 -- 16.7 percent higher than a year ago. Marin County had the highest home price, at $914,250; San Francisco was second at $800,000. Nationally, more than 40 urban areas -- including Redding, Chico, Fresno, Merced and Sacramento -- experienced real estate appreciation of more than 30 percent between 2001-2004, according to the FDIC. There is no question that the housing boom has reached its peak and is beginning to soften. There are many signs. Click here to read more. 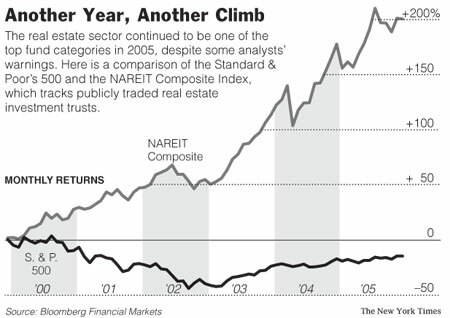 Real estate's winners now look to stocks. Bears move into houses as bulls run to Street. Like other investors in the first half of the decade, McMeiken had success investing in real estate. But with sales slowing and home prices flat, there's a concern the real-estate market is cooling. And with bonds experiencing worrisome trends and increased volatility, and the Dow Jones industrial average topping 11,000 this past week, investors have increasingly focused on stocks. Click here to read more. First-timers get a break. FHA loosens up, boosting loan limits and easing some guidelines to help young, minority and low-income buyers. The federal government's biggest home-mortgage program streamlined itself at the end of December, and that could be good news for buyers, sellers, realty agents and builders in 2006. The Federal Housing Administration's decision to eliminate or soften many of its onerous rules about property conditions and mandatory repairs should be a stimulant to the entire housing market this year. It could help open low-down-payment mortgages with no prepayment penalties to thousands of first-time, moderate-income purchasers who instead might be turning to sub-prime alternatives with higher fees. Those new buyers, in turn, could provide sellers of lower-cost dwellings the cash to move up to more costly properties — prompting more sales activity at successive levels up the housing price ladder. Click here to read more. Barry Stone: Ask the Inspector. Walk-through would have gotten to the bottom of the clutter. A walk-through is standard when buying a home, ensuring that no vital areas of the property are concealed from sight and that no defect discoveries are unreasonably prevented. Had this taken place, the foundation problems, the mold and various other defects would have been apparent. Had there been a walk-through, property defects that should have been disclosed by the sellers would have come to light, the purchase could have been delayed, and negotiations with the sellers could have been reopened. Instead, concealed defects were purchased on faith, and you have been left with an armload of costly surprises. Click here to read more. I'm hosting an open house this Saturday, January 14th, 2006. Everyone is invited! So please stop by if you have a chance. The home is located at 2200 W. Wilson St. #133, Banning, CA 92220. The Open House will be held from 10:00am to 4:00pm! Click here for a Google Map. If you would like more information on the home, or will not be able to make the open house and would like to make an appointment please call me anytime! Click here for the MLS info. Thank you! Well, looks like today is Friday the 13th. Don't be scared, I'll always be here with today's top real estate news. Real estate gets less affordable in California, Realtor group reports. Affordability rating falls 5 percent in November compared to year earlier. The percentage of households in California able to afford a median-priced home stood at 14 percent in November, a drop from 19 percent reported in November 2004, according to a report released this week by the California Association of Realtors trade group. The minimum household income needed to purchase a median-priced home at $548,400 in California in November was $133,390, based on an average effective mortgage interest rate of 6.26 percent and assuming a 20 percent down payment, the trade group reported. At 24 percent, the High Desert region was the most affordable CAR region in the state, followed by the Sacramento region at 19 percent. The Northern Wine Country, San Luis Obispo and Santa Barbara regions were the least affordable in the state at 7 percent. Median home prices fell about 2.9 percent in Santa Barbara County area in November 2005 compared to November 2004, CAR reported, from $668,750 in November 2004 to $650,000, but prices increased in all of the other areas covered in the report. CAR's December 2005 sales and median price report for the state and regions within the state will be released on Wednesday, Jan. 25. The California Association of Realtors is one of the largest state trade organizations in the United States, with about 185,000 members. Click here to read more. Land for real estate construction harder to find. Industry conditions favor big home builders, survey says. Good land is increasingly hard to find, big home builders will grow bigger, and consolidation will continue in the home-building industry, according to a report released this week by McGraw-Hill Construction and Deloitte & Touche LLP's real estate industry group. The report, based on a survey conducted by McGraw-Hill Construction's Industry Analytics and Alliances division, also found that high-end kitchen materials, tile flooring and wood flooring are a fast-growing trend in new-home construction. Modular homes and steel-framed homes are falling out of favor among builders, the survey also revealed. Financial-reporting software, and the use of high-tech tools for purchasing and project management are among the most valuable applications of technology for the industry, according to the survey. Outsourcing for mortgage origination, hardware, software, sales and marketing services – in that order – are popular among builders. Land costs ranged from 24 percent to 28 percent of the total project costs among starter, move-up and luxury homes, survey respondents said, compared to about 33 percent of the total cost in the states of Florida and California. The average build time for a single-family house was three to six months, according to 64 percent of the survey respondents, while 22 percent said the average build time was six to 12 months. Click here to read more. Housing Bargains, at a Price. Rural Modoc County has California's cheapest real estate. But its remoteness and lack of jobs make 'affordability' a relative concept. In California's most remote corner, the air is crisp, the sweeping plains and towering peaks inspire awe, and the median home price just crested $100,000 for the first time. Modoc is California's only county where the median price of a home has stayed so low for so long. It is the least expensive nook in one of America's priciest states, a place where home buyers live out the pluses — and many of the minuses — of that elusive concept, "affordability." In Los Angeles County, $100,000 will just about cover the traditional 20% down payment for a median-priced house — certainly not the whole building, yard and garage. In Orange County, it's about 80% of a down payment, and in Marin County, the most expensive housing market in the state, it's less than two-thirds of what's needed. Compare that to the county seat of rural Modoc, where a snug blue house on downtown's Court Street — complete with two bedrooms and a bath — was recently listed at $84,000, and one unimpressed local real estate agent complained that it was overpriced. Click here to read. U.S. residential bubble risk limited. The risk of a housing bubble in the U.S. market is highly localized as supply is still catching up with demand in most of the country, U.S. real estate magnate Sam Zell said on Thursday. "There will be a softer real estate market in some areas as a result, but I keep telling people there is no bubble," Zell told Reuters after an economic conference in Chicago where his headquarters is located. "The fact remains that even with the gains of the past five years, American residential real estate prices in relative terms are among the cheapest in the world," he said. Zell said a few areas in the U.S. market are suffering from oversupply, but he did not specify which ones. House prices on average have surged more than 55 percent over the past five years, according to federal government data. In some locations, the price gains have been more dramatic, such as California, which has notched price increases of nearly 113 percent over that period. Florida, Hawaii, Maryland, Nevada and Washington, D.C., have all seen prices jump more than 90 percent in five years. "The residential market is going to level out for a while after years of huge gains, but that does not mean there is a bubble," Zell said. He said U.S. commercial real estate is currently suffering from oversupply that has pushed down prices, but that the market would improve as demand rises to match supply. Click here to read more. Valley realtors: Future is bright. While growth may slow, market is still expanding. Even as new statewide data show Coachella Valley homes to be increasingly unaffordable for local households, residents and real estate agents are beginning 2006 with a healthy mix of optimism and realism about the region's housing market. At their own packed gathering in Palm Desert Thursday, members of the California Desert Association of Realtors reaffirmed their own optimism - reflecting the views of experts over the past several months - that the valley should continue to see a "soft landing" in its housing market in 2006. While the region has been decidedly a sellers' market for the past two years, experts contend the valley is gradually shifting into more of an equilibrium mode between buyers and sellers. Even as unsold resale inventory continues to rise steadily - surpassing 5,600 in December - prices are on the upswing. In November, the valley's median sales price for homes hit a record $400,000, according to research firm DataQuick Information Systems. The prognosis from many experts continues to be generally positive, even as new data released Thursday by the California Association of Realtors indicated that only 10 percent of valley households could afford the median-priced home in November 2005, down from 14 percent a year earlier. Click here to read more. Economist: Real estate boom over. The year 2006 for the housing market brings with it rising interest rates, declining home sales and slower price appreciation in other words, the housing boom may be officially at an end. That's the opinion that California's top housing economist offered during her annual forecast delivered Wednesday. And in her view, it's just right. "We're calling this the Goldilocks economy not too hot, not too cold," said California Association of Realtors Chief Economist Leslie Appleton-Young, who echoed the belief of most economists that the nation's economy is heading into a period of modest job growth, moderate inflation and continued business investment. Appleton-Young delivered her forecast for the 2006 housing market at the Trump National Golf Course in Rancho Palos Verdes. The forecast confirmed what she and other housing prognosticators have been saying for the past year: The market is on course for a soft-landing, with slowing housing appreciation and falling home sales, and that there is not a housing bubble waiting to burst. "There is a bubble a bubble in the number of articles about the housing bubble," Appleton-Young said of the "hype." She added, "The median price of a U.S. home has never declined." Click here to read more. Insurance Commissioner vs. Title Insurers. Title insurance isn't the sexiest part of a real estate transaction. But according to a recent report issued by California Insurance Commissioner John Garamendi, San Diego's homebuyers should be paying more attention to title insurance fees. The report shows that a few big players dominate California's title insurance industry. It says the price of policies is kept high by a lack of competition in the market, a lack of consumer knowledge, and cozy relationships between realtors and title insurance providers. Title insurance is required in California whenever a buyer purchases real property or a lender borrows money for the purchase of property. It is intended to guard against the chance that the title purchased might not be legally transferable. Garamendi claims that real estate agents and escrow companies essentially choose title insurance companies for their clients. In other words, the home buyers and sellers are not taking advantage of the rights they have to choose lower-priced options. Click here to read more. Hokua sells out all 247 condos. Units at the luxury high-rise averaged $1.1 million at the initial sales in 2002. Sales of all 247 residential units at Hokua, the first of Ala Moana's new crop of luxury high-rise condominiums to reach completion, resulted yesterday in the largest number of residential closings in Hawaii in a single day. The first luxury high-rise condominium to be marketed and developed in Honolulu in years, Hokua has proved that there is life in Honolulu's high-end condo market, once pronounced dead after the Japanese investment bubble burst in the early 1990s. The success of Hokua is proof that buyers, especially empty-nesters and baby boomers, have been drawn in recent times to high-rise condos because of their combination of location and pricing compared with previously owned homes on the market, said Ricky Cassiday, a local real estate market researcher. Click here to read more. USC: Commercial real estate to slow in 2006. The torrent of money invested in U.S. commercial real estate that has pushed property values to record high levels is expected to slow in 2006, according to real estate experts from the University of Southern California Lusk Center for Real Estate. Investors traditionally have continued to throw money into development projects and commercial property acquisitions despite signs that property values were beginning to level off. On the commercial side, property investors have been playing the appreciation game. They have bought properties, held them for a time, and then sold them in the expectation of realizing substantial capital gains. Investors will take a different approach in 2006, the USC experts predict. Click here to read more. Real estate listing services to consolidate. Stakeholders of a half-dozen real estate listing services that now cover the Central Valley and most of the Bay Area down to Monterey have agreed to consolidate into a single listing service. Brokers and agents say a common database for a large Northern California region, instead of disjointed listings, will help smooth transactions that often involve regional moves, selling and buying. Representatives for six Northern California Multiple Listing Services, which have a total of more than 46,000 subscribers, met recently for two days to plan for the reorganization. Those half-dozen MLS services cover 11 counties: San Joaquin, Stanislaus, western Merced, Monterey, San Benito, Santa Cruz, Santa Clara, San Mateo, Alameda, Contra Costa and San Francisco. Among the half-dozen is the Central Valley Multiple Listing Service. That service is run by the Central Valley Association of Realtors, which serves brokers and agents in San Joaquin, Stanislaus and west Merced counties. Click here to read more. Real estate overvalued. More signs of cooling. Residential real estate in California may be overvalued by as much as 26 percent but the anticipated market correction won't bring a sharp price decline, according to a research report released on Tuesday. It's more evidence that a cooling rather than a meltdown is in store for the state's hot residential real estate market. The analysis, from Orange-based Advanced Data Mining & Research Inc., concludes homes are overvalued by as much as 16 percent in Southern California and by as much as 27 percent in the Bay Area. And at about 28 percent, the Inland Empire ranks as one of the most overvalued areas in the state. The research firm, which specializes in property valuation methods and analysis, says that this is not surprising because prices in Riverside and San Bernardino counties have been increasing by about 16 percent a year since 2000. An overvalued market does not necessarily foreshadow trouble. Click here to read more. Can home sellers use illness to cancel real estate deal? Signed disclosure statements hold clues to true intent. If you were the judge would you (1) rule there was a valid sales contract and, if so, (2) would you order specific performance by the sellers to deliver title to the buyers? The judge answered yes to both questions. Question and answer with Bob Bruss, real estate attorney. Click here to read more. Retail Real Estate Investment Activity Will Grow in 2006, Survey Says. A report released yesterday shows that a majority of investors in retail real estate plan to increase their holdings this year by at least 25 percent. The 130-page report, a part of which will be published this week by REZA Investment Group, a retail real estate investment advisory firm, in collaboration with National Real Estate Investor and Retail Traffic, is based on 2005 year-end surveys of 10,000 owners and developers. Click here to read more. Real Estate: Dollars and Sense: Now's The Time To Buy A Home. With recently proposed guidelines issued by bank regulators on nontraditional mortgage products(any loan that is not a 15 or 30-year fixed loan), some lenders may begin tightening up the reins making it more challenging to qualify for a mortgage than it's been in years. Should financial institutions follow the proposed guidelines, they could derail the 2002 national mandate to make homeownership an obtainable goal for all Americans. The task is outlined in "Blueprint for the American Dream," a Bush- administration initiative to boost minority homeownership. This aggressive housing agenda invites both private and public partnership to increase homeownership among minorities to 5.5 million by 2010 via the elimination of reported barriers. Click here to read more. Infrastructure: The global dilemma and its potential impact on real estate. Commercial real estate expertise -- and perhaps even U.S. institutional real estate capital -- may provide both capital and creative solutions for the growing global issue of infrastructure development and rebuilding, according to the global leader of Ernst & Young's real estate group. Dale Anne Reiss, New York-based leader of Ernst & Young's global real estate practice, says that infrastructure issues are so important in the U.S. and other major economies, they could end up dominating real estate planning and investment decision making for years to come. As evidence of this, she points to work now underway in New Orleans, as well as the $222 billion plan proposed last week by Governor Arnold Schwarzenegger to upgrade California's aging infrastructure over the next 10 years. Click here to read more. I just wanted to let everyone know that the Open House I hosted yesterday has just reduced it's price to $98,000! It's a total steal, click here to read more! Now for today's top stories. Dairies Moving Out of Inland Empire. Housing developers are paying top dollar for land to farmers, many of whom are relocating their herds north to the San Joaquin Valley. Once home to one of the nation's largest concentrations of dairy farms, the Inland Empire's $500-million dairy industry is rapidly evaporating as dozens of farmers sell out to real estate developers. In the last two years, more than 160 dairies — nearly 80% of those operating just a year ago — have either been sold or are in escrow, according to the Milk Producers Council, a trade association based in Chino. The industry could be virtually gone within five years. The dairy lands of San Bernardino and Riverside counties make up some of the largest undeveloped tracts in metropolitan Southern California. Developers are offering $400,000 to $500,000 an acre, and sometimes more, for land farmers purchased decades ago at just a fraction of that price. Five years ago, the same land sold for $50,000 to $100,000 an acre. Click here to read more. Warning: Beware of Warnings About Real Estate. FUND investors who amassed colossal gains in real estate over the previous few years were warned not to expect a repeat in 2005. The long-running rally could lose steam, some analysts predicted, which meant that it was time to consider selling. But those naysayers turned out to be wrong. Many investors who stayed the course and ignored the warnings about real estate bubbles continued to profit: the sector ended yet another year among the top fund categories. Real estate funds returned an average of 11.9 percent, according to Morningstar, after climbing 32 percent in 2004 and 37 percent in 2003. For the five years through December, the annualized gain was 18.56 percent. By contrast, including dividends, the Standard & Poor's 500-stock index returned 4.9 percent last year and 2.7 percent, annualized, over the five-year stretch. So now the question re-emerges: Can this highflying sector continue its ascent? Click here to read more. Rising Rents Leave Tenants Struggling. It's not just homebuyers who are being hit with the high cost of living in San Diego, California. Those in the rental market are struggling to keep up with rents. According to a 2005 report, a San Diego County family must earn $22.27 per hour to afford a two-bedroom apartment in the county. That means that local renting families must have 3.3 minimum wage earners working full-time or one full-time wage earner working 132 hours per week just to be able to afford a modest two-bedroom unit. The study determines, based on a 40-hour week, 52 weeks per year, the hourly wage that a family needs to earn to afford rent and utilities in private housing markets across the country. San Diego County ranked eighth in affordability. The report indicates that the average renter hourly wage is only $13.71; that's nearly $9.00 less than the hourly wage needed to rent even a modest unit. Click here to read more. Commericial Real Estate: The real estate boom is over. But don't expect market to go bust, analysts say. A doom-and-gloom report on the real estate industry caught the attention of the national media in early December, forcing down stock prices of major home builders. The report, published by the University of California, Los Angeles -- Anderson Forecast, predicted that the real estate and construction industries are headed for a slowdown that could last several years and result in the loss of 800,000 jobs, 500,000 in construction and 300,000 in financial services. "Housing is in a perilous position," concluded UCLA Anderson Forecast Director Edward Leamer, but he added that the downturn in housing won't push the country into recession. Rather than embracing the Anderson Forecast's pessimistic views, however, the seven economists and real estate industry analysts contacted by the Herald-Tribune presented far less dour perspectives. All of them believe the boom that began in 2002, and resulted in 20 to 30 percent annual price increases, is over. Sales of existing homes and new construction are falling and inventories are on the rise. With interest rates expected to ratchet further upward, buyer demand will soften and so will prices. But there won't be a bust. Click here to read more. I know you are all dying to know about the new postage increases, so here's the basic idea for the delivery services I use the most. I hope this will help some people out there. Click here to read more. Yay, it's the weekend! Whilst everyone else is relaxing and doing weekend activities, I'm in the office pounding out paperwork and making calls! I'm also reading through the latest in real estate news and sharing it all with you, so here are today's top stories. Californians in exodus. First time since 1995, state is in high outbound. The gap between the number of people hiring United Van Lines to move them out of California vs. those moving into the Golden State widened again in 2005, reaching 55.7 percent outbound, the household goods carrier announced this week. That's the first time since 1995 that California entered United's "high outbound" category, with 55 percent or more of moves leaving the state. The most significant trends identified by United's annual migration study, based on business booked by the largest U.S. household mover, saw many people moving to new homes in the Southeast and West, apart from California. At the same time, Midwest and Northeastern states experienced an increase in residents leaving. Click here to read more. Real Estate Questions and Answers with Bob Bruss When one joint tenant dies, the survivor owns the entire property. The deceased's will has no effect on real estate held in joint tenancy with right of survivorship. However, if joint tenants die at the same time, or about the same time, complications can develop. A far better method is to hold title in a revocable living trust. A living trust lets you and your wife specify who will receive ownership of your real estate and other major assets. Click here to read more. California housing advocates disappointed with bond plan. Affordable housing advocates planned to ask California voters as early as this year to approve a real estate fee or other permanent source of revenue to address the state's chronic housing shortage. But with no consensus on where to find the money, and potential opposition from the real estate industry and the public, housing advocates changed course. They hoped to piggyback on a massive public improvement plan that could go to voters in June. Then, last week, Gov. Arnold Schwarzenegger unveiled an ambitious public works plan with no money for affordable housing. That set the stage for a debate with the Democratic leaders of the Legislature, Senate President Don Perata of Oakland and Assembly Speaker Fabian Nunez of Los Angeles, who included housing in their own public improvement bond proposals. "We're disappointed" at not being included in Schwarzenegger's proposal, said Chris Bender, spokesman for Housing California, a coalition of more than 1,000 non-profit developers and other housing organizations. Click here to read more.